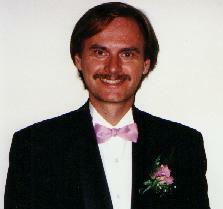 Richard Mabey Jr. is a writer who has written for several newspapers in northern New Jersey. Richard also worked as a writer in corporate public relations. He also worked several years as a copywriter for an ad agency. For five years, Richard produced and hosted the television talk show, “Cross Talk.” The weekly talk show was broadcast on the Cable Television Network of New Jersey. Richard has had four of his plays produced. One of which was produced Off-Broadway. Richard is currently completing work on his novel. 3 Responses to About Richard Mabey Jr.
Wow! What a revelation. You never know who you will meet except by chance. Thank you for being so open to share your journey, it is not only impressive but revealing as well. I am certain that anyone who will read the novel, once printed will be, as I was, pulled in to the world of reflection and contemplation of, “what if.” I had only a little time to read, but what I read caused me to reflect on my own journey and throughout, I realized how much your story resembled my own. I had a Penny, as well, however the many night s of crying and despair, I realized that God had something in store for me if I but only remained faithful. I read once, a carving, that said, “God will not look you over for medals , degrees and honors, but for scars.” The sadness and trials of our lives only give us a way of comparison to the joys that He provides as we journey. Thanks for sharing. I will continue to read and be amazed at those who have com into your life at perhaps the critical moments and gave you the nudge and encouragement of your Dad. Your tribute to your Mom reflects the love of a son. You have been blessed with a lot of talent and have put it to excellent use. Keep it up and give God the praise! Thank you for following me on my blog. Your writing is wonderful. It has brought back all the memories of me growing up in Lincoln park especially Moes sweetshop where I rode my bike to .